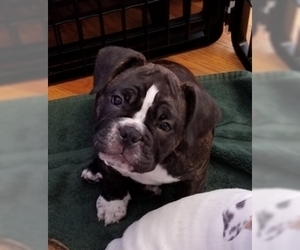 Adorable female miniature bulldog. Brindle with white markings, the tips of her paws are white...hence her name Toes. Toes has had lots of socialization and human interaction. A bit shy at times, but loves attention, and snuggling. Gets along well with her litter mates. She is learning house training skills, starting to walk on a leash and can go up steps. Ready for her new home now, dewormed and is up to date with her first shots. He is shorty bull with the sweetest, laid back temperament. Black with some brindle spots and white markings. Loves to take walks, snuggle and just chill. 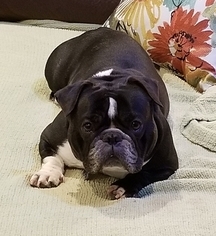 She is a tan with black markings beabull (1/2 beagle and 1/2 miniature bulldog) with a very loving temperament, loves to play, take walks and snuggle. 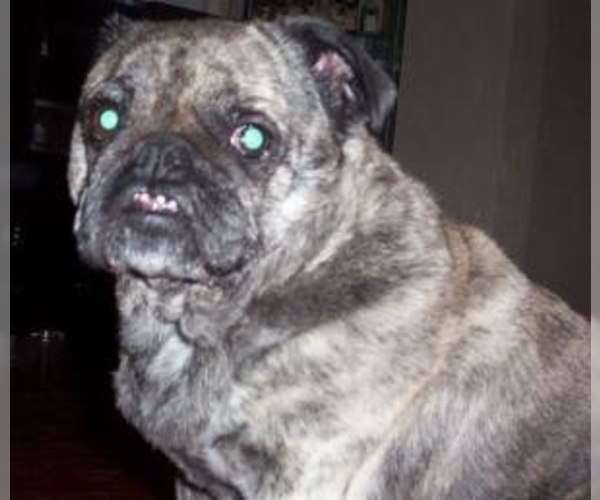 Overview: The Miniature Bulldog is a mix between the Bulldog and the Pug. This breed can have the temperament of either of the parent breeds. They make good pets with the proper training. 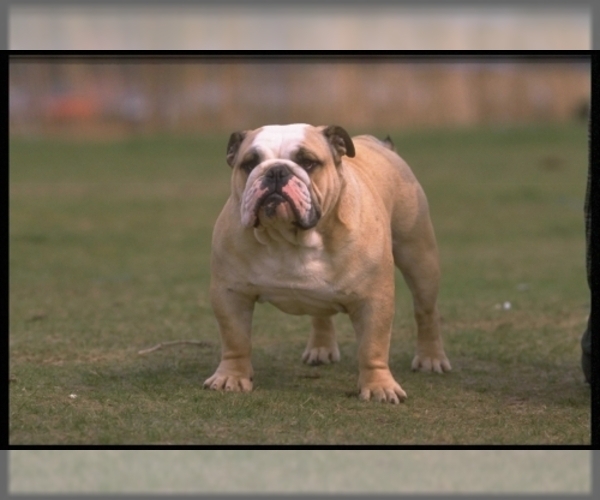 Character: Miniature Bulldogs are playful, clever and loyal. 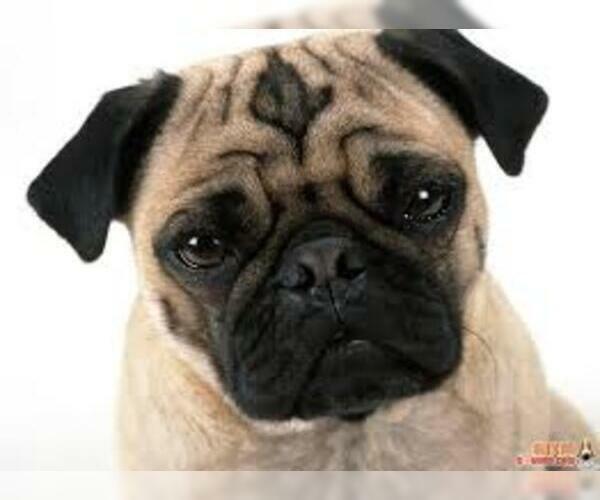 Temperament: Miniature Bulldogs get along well with children and other pets when they are raised together. Care: The coat requires very little care. Training: Miniature Bulldogs respond well to firm, consistent training.